The sobering truth is that personal and professional development hinges on the ability to be self-critical. Some might use softer language like “contemplative, introspective, and reflective,” but that undermines the rather raw and unforgiving nature of the task itself. Frankly put, when you’re not self-critical — when you do not honestly examine yourself — you’ll never be aware of performance blind-spots, much less improve your efficiency and effectiveness over time. Those two elements are the heart of competency. For leaders in hospitality or in any industry for that matter, performance feedback – if given at all – typically consists of summarized or edited comments in a traditional 360-degree appraisal. This can be a valuable approach to gain insight, but it’s incomplete as the perspectives of raters are limited and highly subjective. A standardized assessment is a best practice supplement for a critical reason – it provides objective feedback on your skills, attitudes, and knowledge areas compared to rigorous benchmarks of high performers. For decades personality tests have been popular for employee screening and development, although personality traits have serious limitations when applied to workplace psychology. Research shows that personality tests are poor predictors of workplace performance, whereas measures of General Mental Ability (reasoning, planning, abstract thinking, comprehending complex ideas and learning quickly) and role-specific skills are stronger and more consistent predictors of performance. 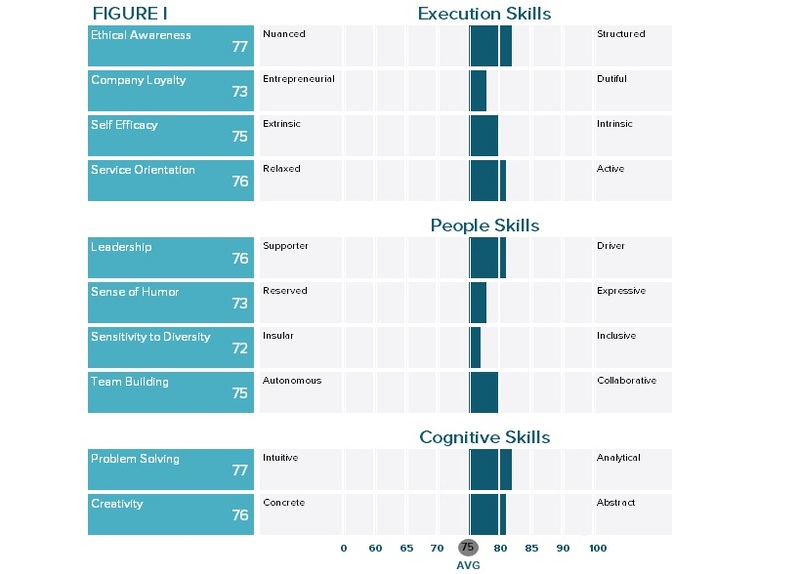 In fact, the popular O*net database of job classifications and corresponding requirements (http://online.onetcenter.org/) describes positions in terms of trainable and malleable skills and competencies rather than broad and rigid personality traits. A well-designed and validated skills assessment, on the other hand, is a specialized tool that reveals constructive and adverse nuances in your competencies, attitudes, and knowledge areas. A comprehensive assessment or mixture of assessments is strongly recommended that will gauge three critical performance areas: Execution skills (how effective you are setting and accomplishing tasks and goals), People skills (how effective you are in your interpersonal actions up and down the organizational chart), and Cognitive skills (creative strategic orientation balanced with analytical, critical thinking). Different assessments may share similar psychological theories, but products vary greatly in their reliability and validity due to their methodological and mathematical approaches. There are two common approaches – self-referential versus inter-individual. Some of the and most popular and traditional assessments like the Myers-Briggs Type Indicator and the DISC assessment are actually the least sophisticated, because such instruments describe individuals only in a self-referential way, i.e., against themselves. Avoid these approaches, as the feedback from these assessments is limited to what the test-taker wants that measure to say. Normative instruments (or norm-referenced testing), by comparison, are inter-individual. This means they describe test-takers against a reference group. Normative assessments are crucial development tools. But meaningful “norms” are not enough to ensure reliability and validity of an assessment; instruments must also have a mathematical basis in modern test theory, such as Item Response Theory (IRT) or one of its variants like Rasch scaling. Wikipedia even offers interested readers clear overviews of these statistics, which are the gold standard foundations used in well-known assessments like the GRE, MCAT and LSAT. Unlike outdated methods many assessment vendors rely on, true scaling approaches generate proper normative instruments that take into account hidden response biases related to age, gender, cultural background and employment level of the test-taker. Without this level of validity, scores can be substantially distorted and misleading. Besides greater technical precision and the protection of meeting legal requirements against unwitting discrimination, modern testing theory also elicits richer information about test takers. Stated simply, high-quality feedback means unbiased, accurate, and detailed information on how your abilities compare to professionals within the global hospitality industry. Would you trust an individual to make key business decisions based on a P&L statement if that person lacks the knowledge to interpret a P&L? Of course not. Likewise, trained professionals are indeed required to interpret statistical findings accurately and in a relatable way, but not all HR professionals, consultants, leadership coaches, assessment vendors, or social scientists have adequate training in statistics – much less tests and measurements, i.e., psychometrics. Furthermore, individuals repeatedly report that they find the most useful employee assessment reports to be ones that avoid psychological and statistical jargon and instead explain results in terms of applied contexts and business related goals. The psychometric quality of an assessment – its reliability and validity – may be excellent, but this does not guarantee that the feedback generated by that assessment is also high in quality. In the service-hospitality industry and beyond we frequently hear criticisms that the feedback from surveys and assessments is often too general or “cookie cutter” to be useful and actionable. That is a reasonable objection to some products. What makes matters worse is that illegitimate or useless feedback can appear specific, meaningful, and legitimate. This is explained by what social scientists call ”Barnum and Forer Effects.” Unfortunately, professionals sometimes do not realize that the assessment on which they depend for recruitment, employee training, and professional development suffers from these limitations. The Barnum Effect is the name given to a type of subjective validation in which a person finds personal meaning in statements that could actually apply to many people. Psychologist Paul Meehl is credited with coining the expression, which apparently is in deference to circus man P. T. Barnum’s reputation as a master psychological manipulator who often claimed that “we have something for everybody” and “there’s a sucker born every minute.” It is not difficult to see why assessments with illegitimate or useless feedback might be perceived as valid instruments. Specifically, if Barnum statements appear on a feedback report that a person believes has been specially prepared for him or her based on a realistic looking assessment, recipients often agree with such statements thereby giving validity to the assessment itself. Related to the Barnum effect is the Forer Effect. 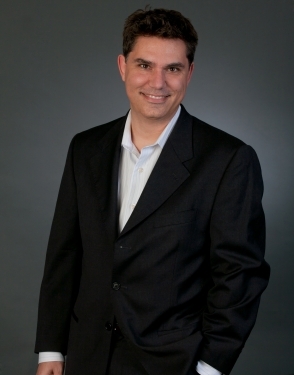 Psychologist Bertram R. Forer found that people tend to accept vague or overly general personality descriptions as uniquely applicable to them, without realizing that the same description could be applicable to nearly everyone. Thus, the Forer Effect refers to the tendency for people to rate sets of statements as highly accurate for them personally even though the statements could apply to many people. The difference between the Barnum and Forer Effects is that the former describes a vague statement, whereas the latter describes how people react psychologically to Barnum (or vague) statements. In his now classic 1940s study, Dr. Forer administered a “personality test” to his students, ignored their answers, and gave each student the same profile that was borrowed from a newsstand astrology column. He then asked these students to assess the accuracy of “their” profile on a scale from 0 to 5, with “5” meaning “excellent”, “4” meaning “good,” and so on. The class average evaluation was a striking 4.26! Forer’s classic experiment has been replicated hundreds of time with psychology students and the average is still around 4.2 out of 5, or 84% accurate. Profile: You have a strong need for other people to like you and for them to admire you. You have a tendency to be critical of yourself. You have a great deal of unused capacity which you have not turned to your advantage. While you have some personality weaknesses, you are generally able to compensate for them. Disciplined and controlled on the outside, you tend to be worrisome and insecure inside. At times you have serious doubts as to whether you have made the right decision or done the right thing. You prefer a certain amount of change and variety and become dissatisfied when hemmed in by restrictions and limitations. You pride yourself as being an independent thinker and do not accept others’ opinions without satisfactory proof. You have found it unwise to be too frank in revealing yourself to others. At times you are extroverted, affable, sociable while at other times you are introverted, wary and reserved. Some of your aspirations tend to be pretty unrealistic. Personnel managers are also known to be susceptible to Barnum and Forer effects, even though these professionals should recognize these effects by training. This explains why organizational assessments may be seen as highly accurate and contributing to a company’s bottom line when in reality that feedback might be illegitimate, useless, or even completely misleading. For all of these reasons, the use of assessments for personal and professional development should never be done in a vacuum. Rather, enlist the support of an expert who understands psychometrics, is familiar with the assessment you are using to gauge your competency set, can relate the results to your current role and future goals, and help you formulate an Action or Individual Development Plan (IDP). The most effective support for your development will come from an expert who can help you to maintain authenticity and behavioral integrity as you learn to integrate the good and the bad. The hospitality industry is a unique mixture of complexities, ambiguities, and pressures and market forces in constant flux. Therefore, executives often have difficulty matching their good intentions for self-development with the limited time available to them. With this in mind, building and capitalizing on personal strengths arguably offers the biggest ROI with the path of least resistance. For those individuals who are highly motivated and disciplined with time management; however, a great specialist can use the unique insights from a performance-based assessment to help guide a person beyond the poetic thought in the Desiderata prose. Given enough courage, humility, and dedication… individuals paired with seasoned specialists can indeed learn also to overcome ineffective habits, poorly developed skills, and outright shortcomings.